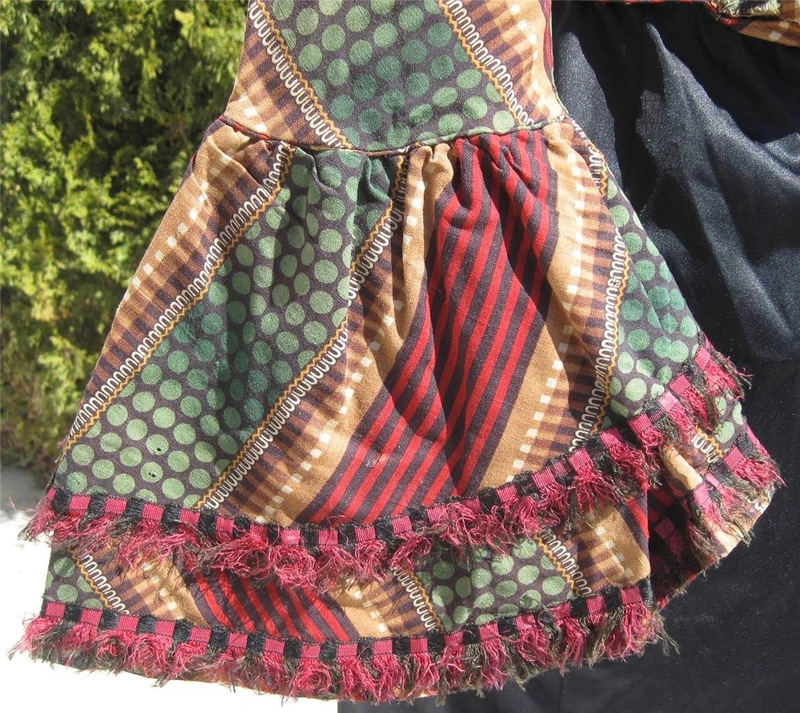 There are at least three different patterns in the lightweight wool print fabric in this 1850s bodice. 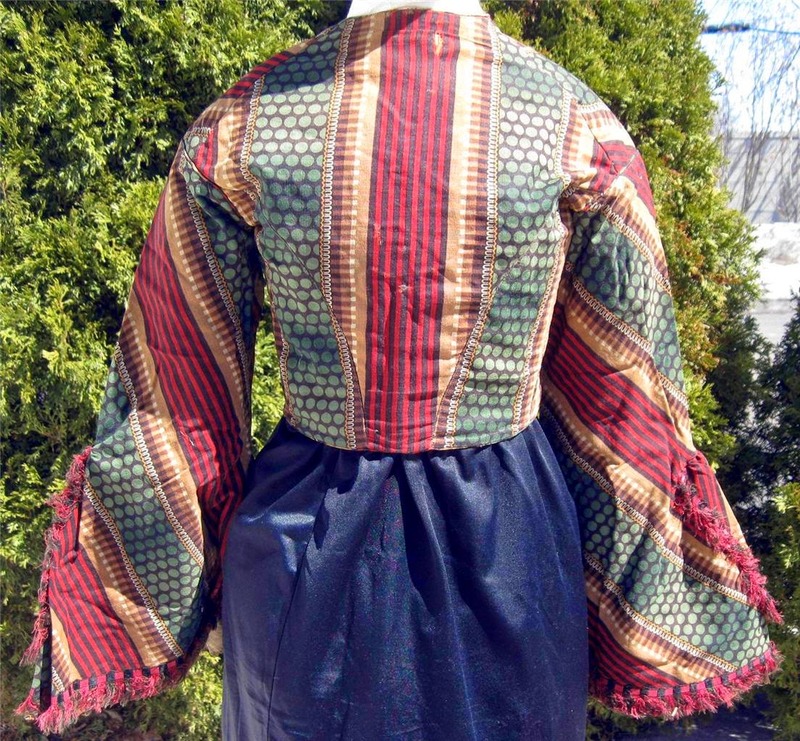 The bell sleeves have a partial flounce trimmed along the edge with red and black, silk fringed ribbon. The body or corsage is lined in brown sturdy twilled cotton and the sleeves are lined in lightweight brown cotton. It fastened up the front with 10 black and brown covered ball buttons (only 5 remain). It is boned in the side seams and the center back. It appears it was boned in the two pairs of bust darts, but the piping below them has been unpicked and they are now missing. Oh, and it's 1860's, not 1850's. 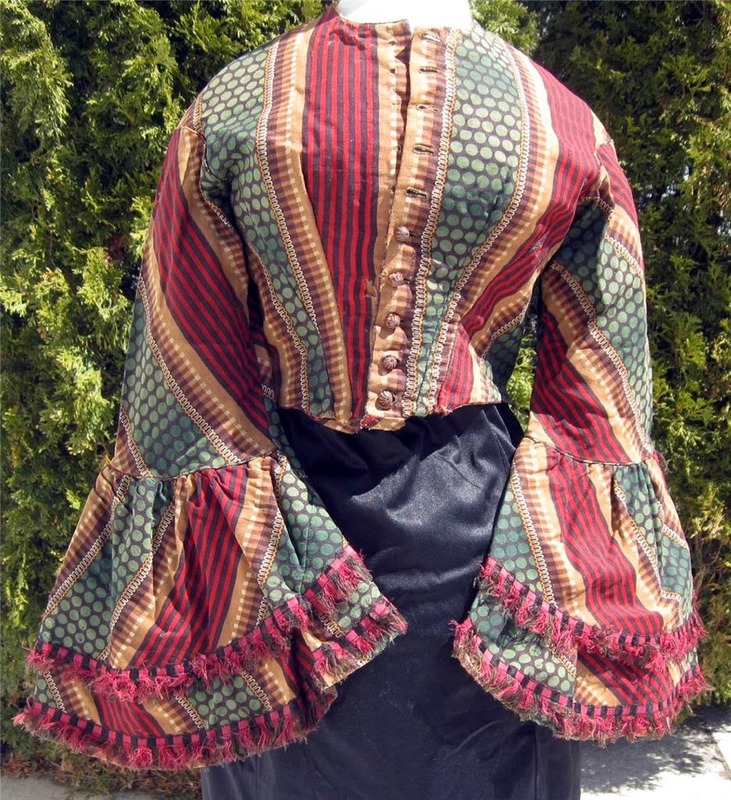 The way the sleeves are shaped and the lack of a point indicate an early 1860's date. That was a wild airplane you rode on! I can only remember plain tans. This was very similar to the completely insane airplane seats I remember.